The land below the wind. What to do there? A trip to Kota Kinabalu isn’t complete without a visit to the Mari Mari Cultural Village, where you can get in depth knowledge of the ethnic communities customs and traditions. Kota Kinabalu Wetland Centre showcases 24 hectares of what remains of the vast mangrove forests that used to inhibit the coast of Kota Kinabalu. Just a half hour boat ride away from the city centre, Tunku Abdul Rahman Marine Park greets you with the sights of white beaches and clear waters. The sprawl of 5 islands make up this national park and are renowned for scuba diving and snorkelling from visitors worldwide! What to see there? The Kota Kinabalu stands out as one of the many aesthetic attractions in the city with its scenic lagoon surrounding and eye catching architecture. Food markets along Jalan Tun Fuad Stephen is where the action is at nighttime, you get to see local vendors displaying their arts and crafts for sale along with multiple fresh seafood stalls showing off their catch. Another attraction in Kota Kinabalu is Atkinson Clock Tower, the oldest standing structure in Sabah offers a great space to learn more about the state’s history and enjoy the sun. The highlight of course, Kinabalu Park! 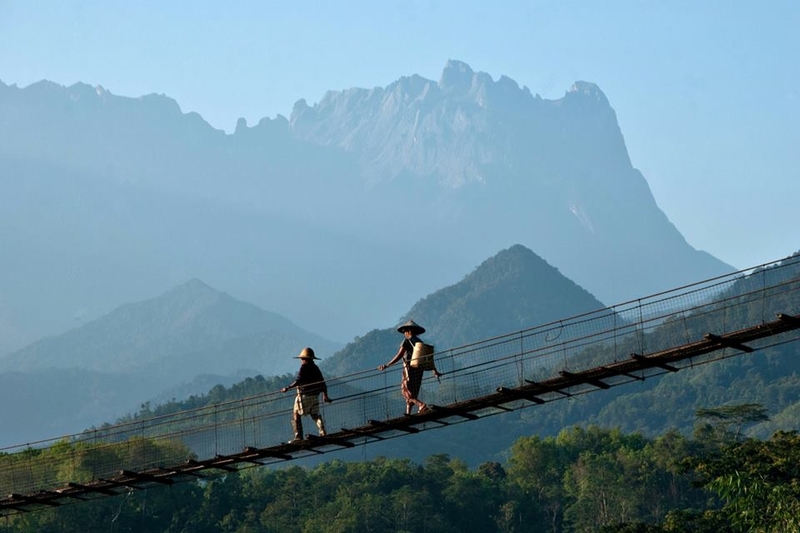 A UNESCO World Heritage Centre, Kinabalu Park offers trails, walks and climbs to view Mount Kinabalu and explore the rich flora that’s unique to this part of the world. Always haggle when it comes to taxis, crafts and touristy places. You can save nearly third of the price! Don’t be tricked at the airport by people offering you rental cars, Kota Kinabalu town has a decent public bus system and the city is compact enough that you can walk to most places of interest. Go for fresh seafood establishments by the coast, they have the freshest catch of the day. It’s mostly dry throughout the year, but short showers do occur and are easily predictable. Carry around an umbrella just in case. Book diving, climbing and wildlife tours with reputable tour agencies only to avoid being scammed or unsafe travels. For a deeper look into the cultures and traditions of the indigenous people of Sabah, you can book homestays with them from tour companies operating in Kota Kinabalu. Kota Kinabalu hosts plenty of cultural annual festivals that attracts visitors from different parts of the world. For example, Harvest Festival in May and Coconut Festival in June. Check their yearly calendar for festivals or events happening there during your time of visit. Beautiful mountains, thriving marine life and unique animals coupled with the city’s amazing music, food and people shows that KK is nothing short of paradise.